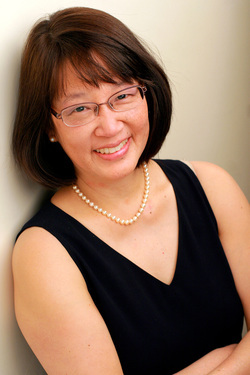 Boston Globe June 11, 2012 - Lisa M. Wong, M.D. Wong, a pediatrician at Massachusetts General Hospital and Milton Pediatrics, is being honored this week at the end of a 20-year run as president of the Longwood Symphony Orchestra. A violinist, she has just completed a book, “Scales to Scalpels,’’ about the link between music and medicine. Q. What do you see as the commonality between music and medicine? A. The training is very, very similar. [Both require a] high level of discipline, a high level of attention to detail. Their interests in small variation — like a little change in a note or a little fluctuation in the heartbeat — are very similar. I think that’s why so many musicians end up being in the health care field, because it’s something that’s very familiar to them. Q. And music benefits the patient as well? A. Music has a way of reaching a deeper core in a person than sometimes can be touched in any other way, even beyond words. With autistic children, with patients with Alzheimer’s — people who have lost their verbal language still have musical language. Young [amputees] who don’t want to put in an hour a day of occupational therapy will practice [a musical instrument] for 10 hours a day just to get things right. The music is driving them, and their executive function skills improve, their focus comes back, their self-esteem [builds]. Q. In what way has being a musician made you a better doctor? A. My piano playing from the age of 3 definitely has something to do with that. The themes that you’re trained to listen to from beginning to end — that’s the same feeling I get when I’m listening to a patient. Q. Obviously, you’re not the only person who shares this dual love of music and medicine. A. There are so many people who are like this. The Longwood Symphony is predominantly musical medical people. There has always been this incredibly long waiting list. You start wondering why are they all like that, how did that happen? That’s how I started writing the book, finding out what happens to our brains when we’re young that created us being healers later, but that makes us feel really compelled to continue [making music] no matter what. Q. You’ve been intimately involved with the Longwood Symphony’s Healing Art of Music program during your tenure, helping to bring music to all corners of Boston. But music is traditionally the purview of middle-class families in the United States, because lessons are so expensive. A. If that field were leveled, we would have so many more people involved [in music]. Q. As a pediatrician, do you think playing a musical instrument is healthy for kids? A. I prescribe music to all my kids. I try to get them to start very young. Q. It’s hard to keep kids practicing enough to get good! Q. You’ve said your next musical career move is to collaborate more with the El Sistema program of universal music education in Venezuela. A. My next trip, which we’re working on, is to go and study the disabilities program there. There is something going on there that we need to tap into. Part of what they do is there are no barriers. There is no level. They just keep raising the bar and the children rise to the bar.